Clearing out your garage and closets helps your clarity and helps your community. 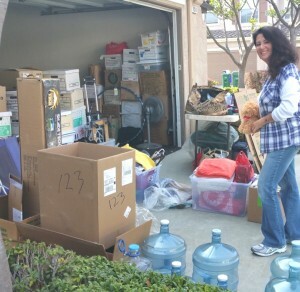 My organizing clients are clearing out their garage before they move. Their donations will come full circle in the community and help a woman get a job. Moving can be quite stressful. Make a list of everything you need to do for your move so it’s not overwhelming. As you check things off the list it will give you a sense of accomplishment and even release endorphins. Make arrangements in advance for pick-up at the end of the day by your local charity or be prepared to load it up in your own vehicle (at end of session, I take whatever fits in my Jeep). 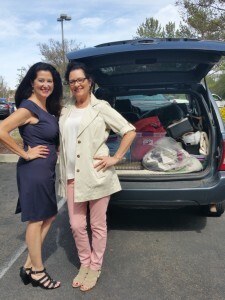 Jeep full of donations, heading from home to monthly meeting of Professional Women’s Roundtable Temecula. The Garage Project: Discard and Donate — Start by setting up a work table, having labels, boxes, bins and bags. Go through each item and ask yourself if you really want to move it to your next home. Will someone else get greater value from this than I? Donate to a great charity such as Assistance League, Angel View, Salvation Army or Habitat for Humanity (non-clothes). After about five hours of work, I loaded up the Jeep to its max and drove home. Next day I took it all with me to the Assistance League in Temecula after my monthly meeting with Temecula’s PWR (Professional Women’s Roundtable). There, I had a photo opp’ with Phyllis Reed who manages the “Secret Closet” program. 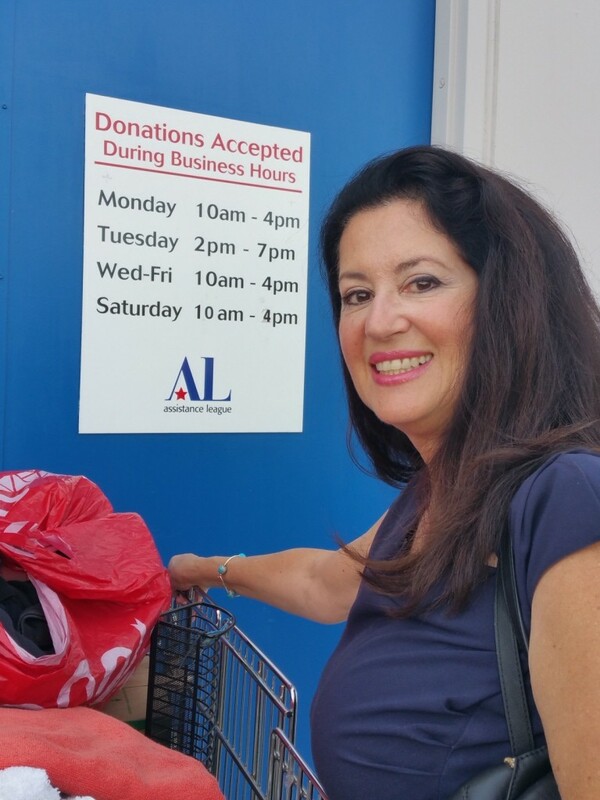 Whatever we donate provides vouchers for women returning to the workforce to buy clothes at no cost from Assistance League. Phyllis Reed collaborates your clothing donations with “Secret Closet” at Assistance League. Cleaning out your closet and garage helps a woman walk into an interview with confidence. You have helped your community. Last stop: Assistance League of Temecula cooperates with PWR’s “Secret Closet”. Everyone wins.